… and it also boosts your baby’s immune system! Baby Reflex aims to strengthen and develop systems such as the digestive and immune systems and is a lovely way to bond with your baby, giving them a boost of the hormone oxytocin which aids good feeling and restfulness. BabyReflex is a lovely and calming addition to your bedtime routine or whenever your little one needs some extra TLC. Our fun and relaxed workshops are based around 3 reflexology routines – Feeding, Sleeping & Wellbeing. We’ll show you how to carry out gentle and calming Baby Reflexology on your baby’s little feet Classes are run by Jackie Kietz who has over 13 years of experience in all things Reflexology. Each workshop lasts around 1-1.5 hours, depending on the size of the group. You will learn the simple and effective sequences during the workshop by practising on ”baby feet’ – life size models of babies’ feet, until you are confident. The session ends with you carrying out a 5 minute treatment on your own baby. Classes are baby led so if you need to feed your baby or change them then of course this takes priority. We are all parents and understand that babies cry and are somewhat unpredictable – and this is just fine.Babies love Little Feet Baby Reflexology! This wonderfully soothing therapy is accessible at all times as it only takes a moment to remove your baby’s footwear, providing comfort and relief quickly and naturally – any time, anyplace, anywhere! 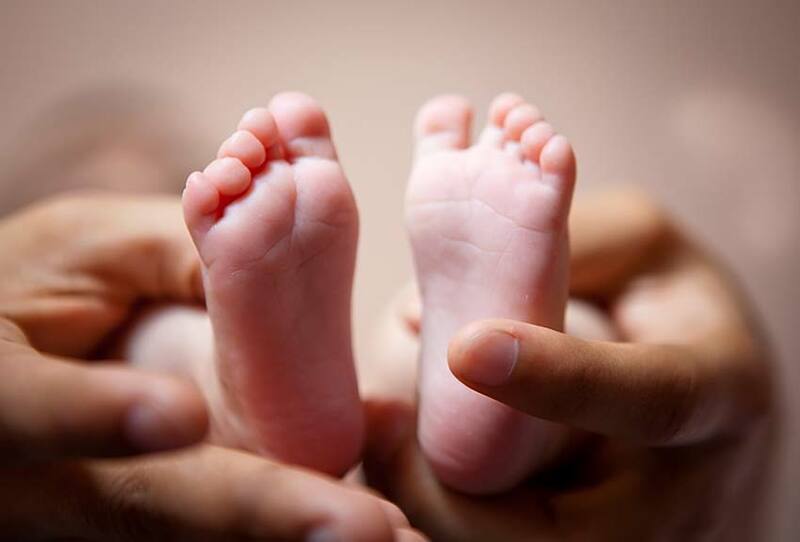 Baby Reflexology is a specially adapted form of Reflexology, adjusted to suit the age of your child and it works in the same way Reflexology works in adults. What do the group workshops cost and where are they held? Group workshops take place during the week day and comprise of you and a couple (or more) of friends and one of you hosts in your home. This keeps the atmosphere relaxed and social. Workshops are popular with mums who are on maternity leave, along with the friends they made at their antenatal classes. Group courses from home can run if there are 3 or more babies/parents and cost £25 per person/couple. Includes a handout to remind you how to carry out each treatment sequence. Depending on the size of the group, the session will last around 1.5 hours (kept flexible to ensure everyone leaves confident). BabyReflex is a wonderful way to calm and soothe your baby, but of course always seek medical care if your baby is unwell.